After winning the Formula Ford 1600 title in 1981, a young Ayrton Senna made his way up to the 2000 category the following year, competing in both the British and European divisions. The Brazilian was dominant in both series, claiming an incredible 22 wins and a pair of second places from 28 races. 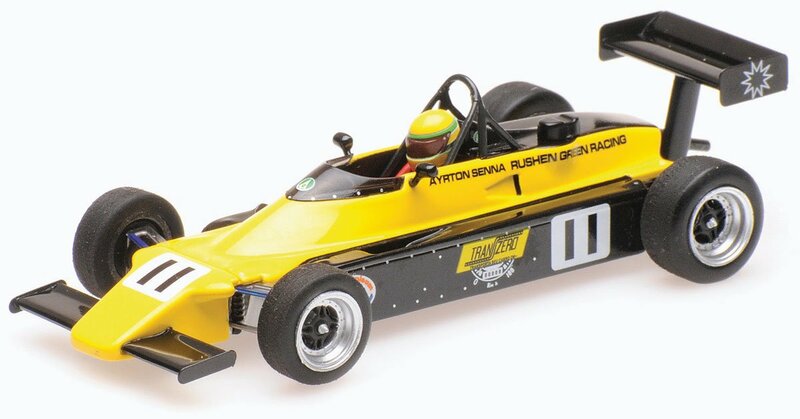 This 1982 Van Diemen has been the ‘missing car’ in Minichamps’ series of Ayrton Senna racing machines, but now the German company has rectified that. The #11 example is from Ayrton’s British campaign, while the #30 is specifically his winning car from the Jyllands-Ring round of the European championship.